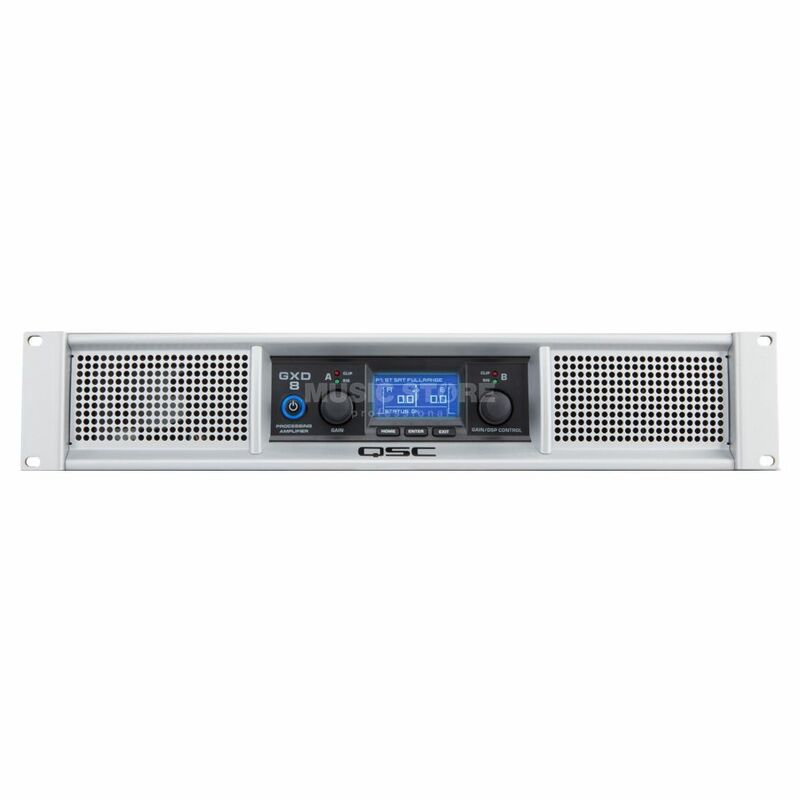 The QSC GXD 8 DSP PA Power Amplifier is a professional standard 2 x 1200 Watt at 4 Ohms Class D PA power Amplifier featuring onboard DSP filters, effects and EQ; ideal for pro PA installations. The GXD 8 DSP offers high peak output power with up to 1600 watts from the GXD 4 and a whopping 4500 Watts from the GXD 8. Power levels are matched to the most popular loudspeakers and optimized for maximum real-world headroom into 4Ω and 8Ω speaker systems. The amp features a class D output stage with a universal power supply for high performance and efficiency. Extensive and powerful loudspeaker processing built in; includes high and low-pass filters, 4-band parameteric EQ, limiting, and delay. The large LCD display simplifies amplifier setup and indicates amp status. Digital limiting automatically protects the amplifier from damage due to temperature rise or overdrive, and adjustable speaker protection matches your loudspeaker’s power and impedance. Front panel LEDs indicate signal presence, input overload, and amplifier clipping.